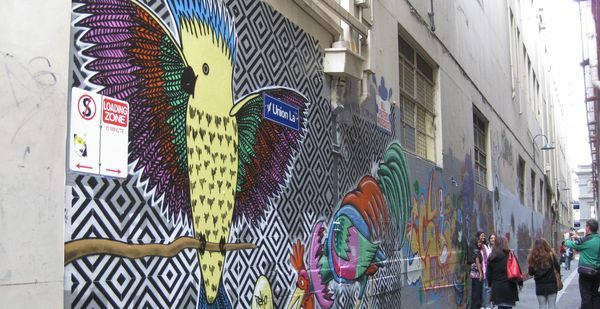 The Street Art Project in Union Lane will see a large mural covering 540 square metres of wall space created along both sides of Union Lane in the heart of the CBD. 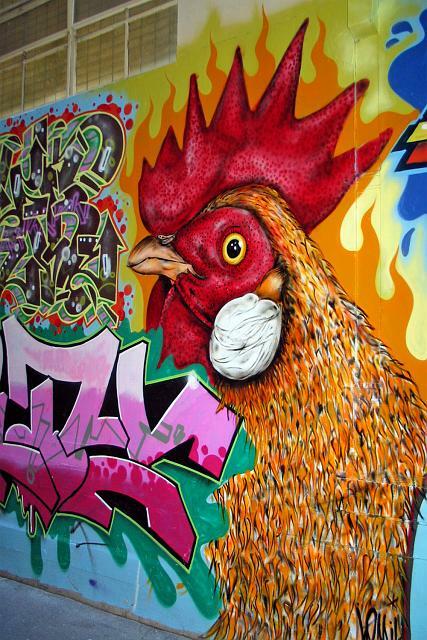 A group of young people are working to create the mural alongside highly skilled professional artist-mentors. 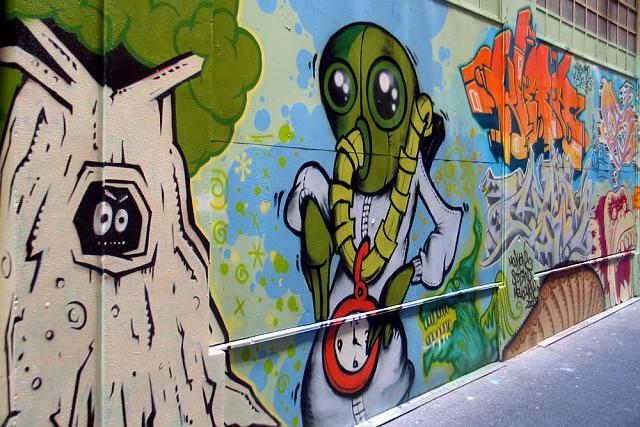 The project is a key component of the City of Melbourne’s Graffiti Mentoring Program, which aims to introduce young people to the official processes of organising and producing legal street art. 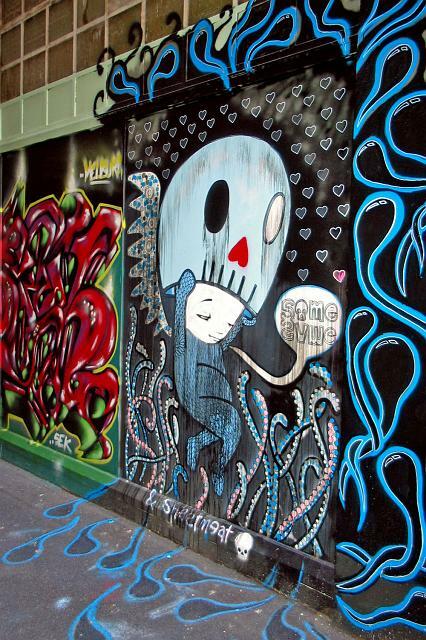 The mural in Union Lane will be conducted under the City of Melbourne's legal street art permit system, permit number STA 015. 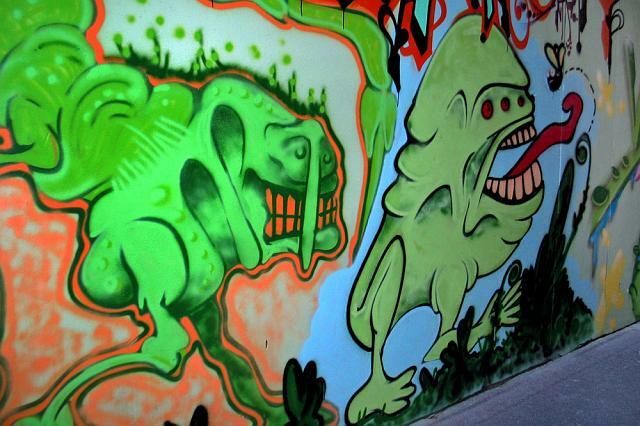 The Graffiti Mentoring Program is designed to educate young people who may have been involved with graffiti to increase their artistic skills and express their art in a positive and legal manner. 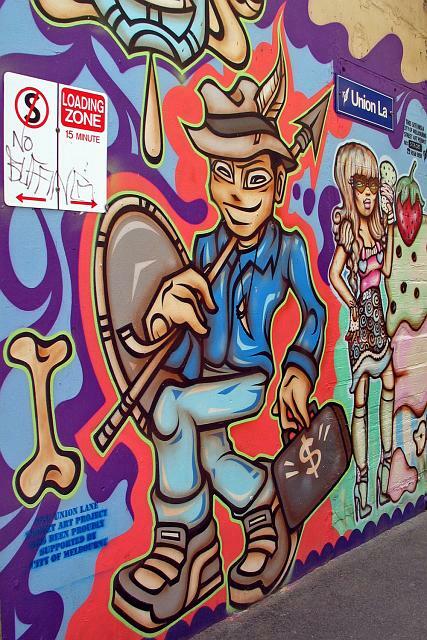 One of the key aims of the project in Union Lane is that the artist-mentors will facilitate opportunities for these young people to legitimately express themselves through legal street art, diverting their efforts away from illegal tagging. 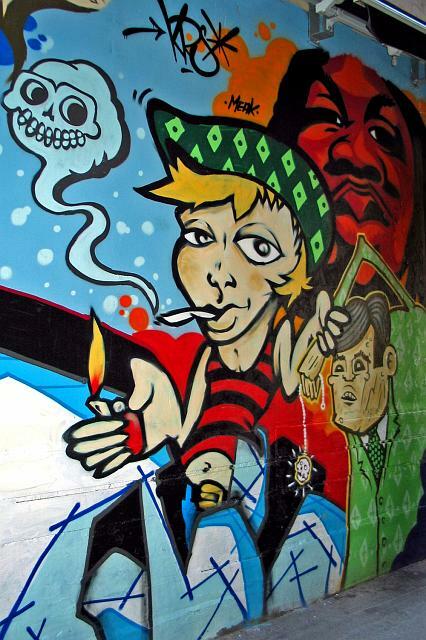 The project has connected with many of the city’s youth service agencies to identify the young people involved. Up to 12 young people aged 13 - 25 are participating in each of the workshop sessions. Where is Union Lane? 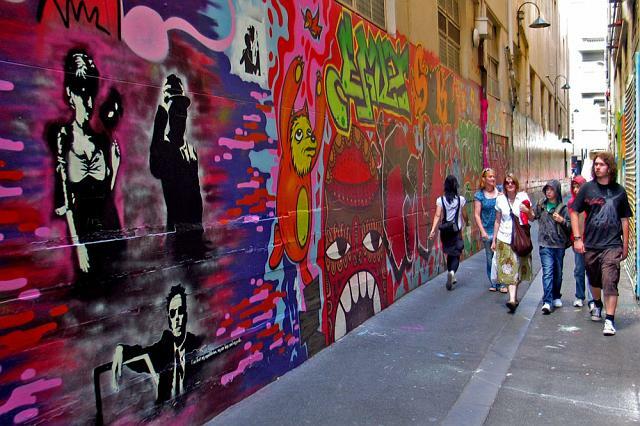 Union Lane runs between Bourke Street and Little Collins Street, between David Jones and 'The Walk Arcade'. The results below. Photos taken by me from a several years ago. 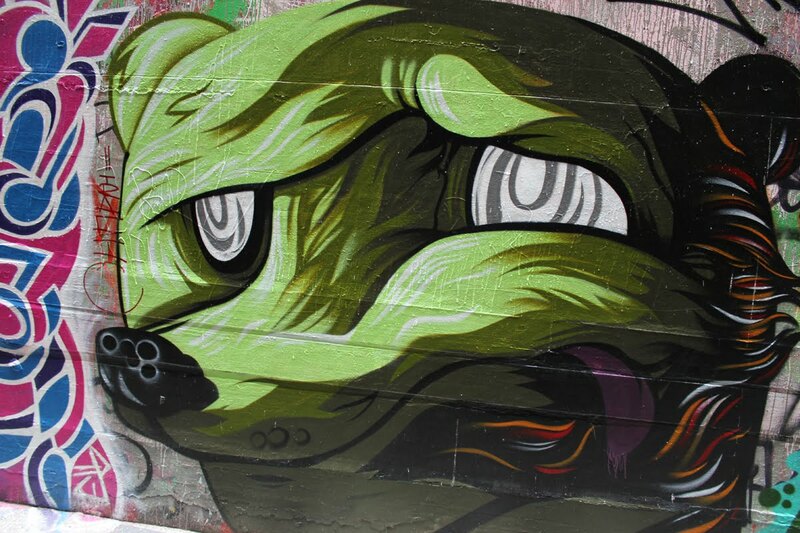 Another layer or two of new graffiti art has been added since. 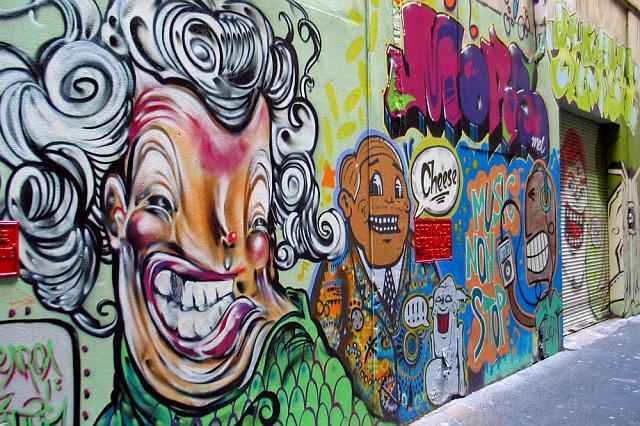 Has Melbourne City Council ever produced / published a map of the lanes dedicated to street art? hrm, I feel another mapping project coming on.